Burlington Northern local industry job tied-up. Lenexa, KS, 8/4/1991. 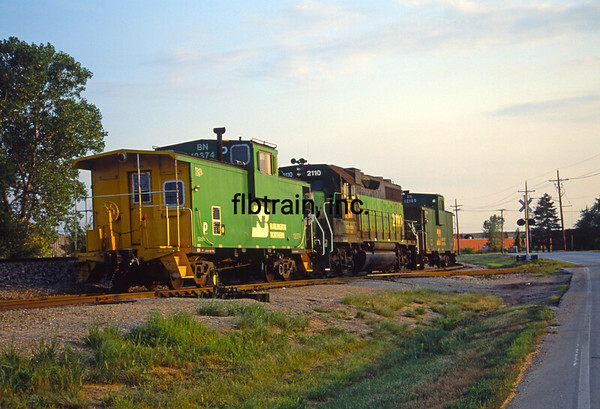 GP38 2110 surounded by cabooses 12374 & 12105.